Reminiscent of Chekhov's stories, "The Blood of Strangers" is a visceral portrayal of a physician's encounters with the highly charged world of an emergency room. 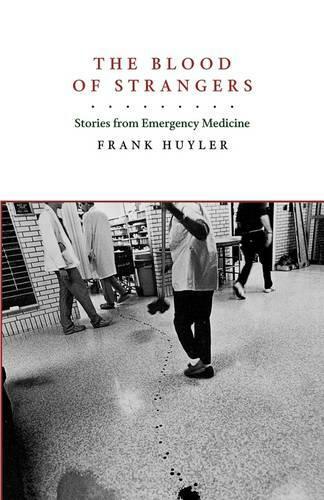 In this collection of spare and elegant stories, Dr. Frank Huyler reveals a side of medicine where small moments - the intricacy of suturing a facial wound, the bath a patient receives from her husband and daughter - interweave with the lives and deaths of the desperately sick and injured. The author presents an array of fascinating characters, both patients and doctors - a neurosurgeon who practices witchcraft, a trauma surgeon who unexpectedly commits suicide, a wounded murderer, a man chased across the New Mexico desert by a heat-seeking missile. At times surreal, at times lyrical, at times brutal and terrifying, "The Blood of Strangers" is a literary work that emerges from one of the most dramatic specialties of modern medicine. This deeply affecting first book has been described by one early reader as 'the best doctor collection I have seen since William Carlos Williams' "The Doctor Stories". "If Raymond Carver had been a doctor, these are the stories he would have written. There are no untarnished heroes here. This is the world as it is: lovely and disturbing all at once." --Atul Gawande, author of "Complications"
"Dr. Huyler' s short, intense book treats of only the most important matters: life and death. His prose is nearly invisible, and therefore it allows us to see what he is talking about. And once we see it, we are not likely to forget it. This is a young writer with a big mind--and an even bigger heart." --Paul Auster, author of "Oracle Night"
"Moving. What characterizes each of these miniatures is the candor in which they are offered, and their authenticity." --Richard Selzer, "San Francisco Chronicle"
"The author of these doctor stories is an E.R. physician as well as a poet, and his work shows the economy and sharp attention that both jobs demand." --"The New Yorker"